Porcelain art really amazes me. Not only do you have to make the medium first, you then paint and decorate it – and some of it is so pretty. 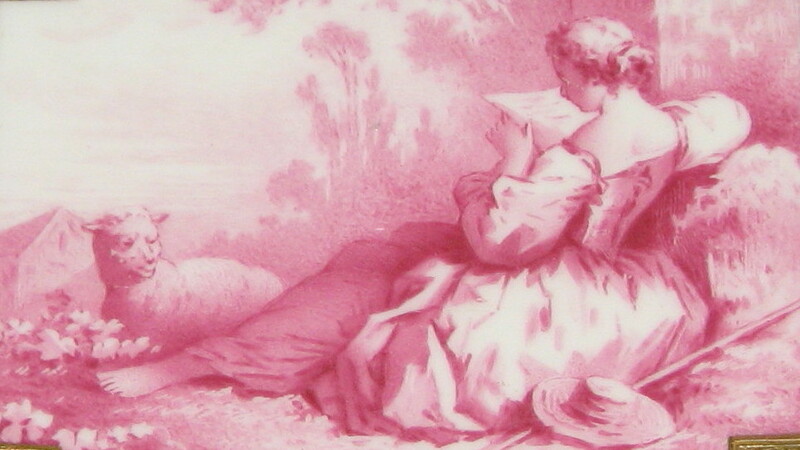 This is an example of Minton porcelain. Wikipedia is a great source for finding out about porcelain, for example: Porcelain is a ceramic material made by heating raw materials, generally including clay in the form of kaolin, in a kiln to temperatures between 1,200 °C (2,192 °F) and 1,400 °C (2,552 °F). The toughness, strength, and translucence of porcelain arise mainly from the formation of glass and the mineral mullite within the fired body at these high temperatures. Porcelain can be divided into three main categories hard-paste, soft-paste and bone china. Portmeirion as a town, is a tourist village located in the community of Penrhyndeudraeth, on the estuary of the River Dwyryd, south-east of Porthmadog, in Gwynedd, North Wales. It was once the film set for the 1966-67 British cult surreal spy drama TV series “The Prisoner,” which starred Patrick McGoohan. At the time, to prevent tourists from visiting whilst filming for the series, its location was not revealed until the credits of the final episode. Since then, many a tourist and famous guest has visited or stayed. For further details, see original post. Satsuma ware or, as written in Wikipedia: (薩摩焼 satsuma-yaki), is also sometimes referred to as “Satsuma porcelain.” It is a type of Japanese earthenware pottery which originated in the late 16th century, during the Azuchi-Momoyama period, and is still produced today. Although the term can be used to describe a variety of types of pottery, the best known type of Satsuma ware has a soft, ivory-coloured, crackled glaze with elaborate polychrome and gold decorations. By the late 1860s it became popular in Europe. This is my original post. 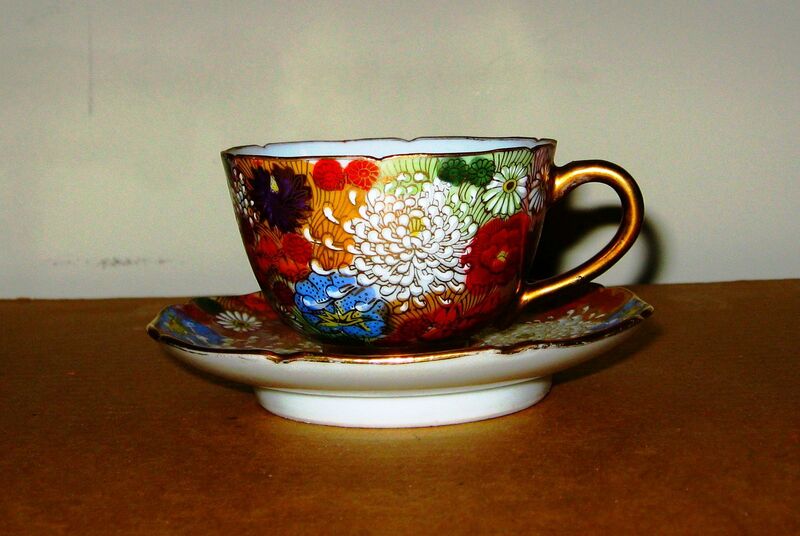 Bone China is a type of soft-paste porcelain that is composed of bone ash, feldspathic material and kaolin. It has been defined as ware with a translucent body containing a minimum of 30% of phosphate derived from animal bone and calculated calcium phosphate. Developed by English potter Josiah Spode, his formulation of 6 parts bone ash, 4 parts china stone and 3.5 parts china clay remains the base for all bone china. Now, I used to think that “bone china” was just a name, but I never realised it came from real animal bones and most of it is made from cattle bones. Maybe I’ll go back to drinking tea from that soft-clay, hand-made mug. Sèvres porcelain- The manufacture de nationale de Sèvres Frit porcelain tendre factory is situated at Sèvres, France. Founded in 1738, Sèvres has historically been both a royal, then an imperial factory manufacturing fine china and porcelain. The facility is now run by the Ministry of Culture in France. 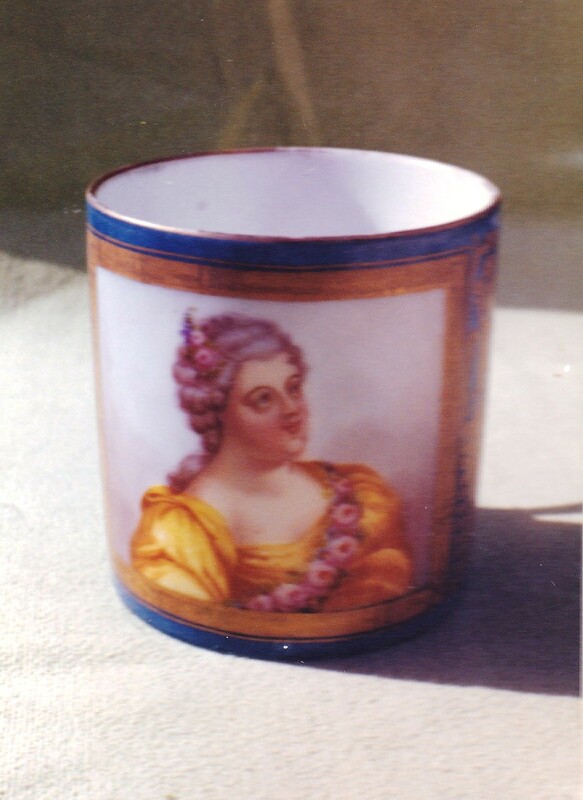 Notable artists who worked for Sèvres include: Théophile Fragonard (1806–1876) and Auguste Rodin. Belleek Pottery is a porcelain company that began trading in 1884 as the Belleek Pottery Works Company Ltd in Belleek, County Fermanagh, in Northern Ireland. The factory produces porcelain that is characterised by its thin and slightly iridescent surface and that the body is formulated with a significant proportion of frit which contains small amounts of the Parian porcelain for which Belleek is famous for. For more information, see original post. Cauldon Pottery was a firm established by Job Ridgway in 1774. He built a factory at Cauldon Place, Hanley, Staffordshire in 1802. Job’s two sons John and William joined the firm in 1808 which then became Ridgway and Sons, then J & W Ridgway after their father Job died. Later on, the pottery was known as John Ridgway & Co. For further details see my original post.